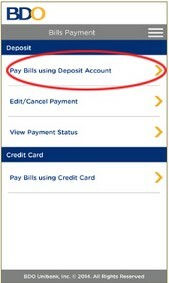 NOTE: Subscriber must be enrolled to BDO Online Banking to be able to use the BDO Mobile Application. 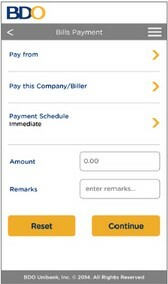 Download BDO Mobile Banking Application available for Android (Google Play) and IOS (Apple Store) users. 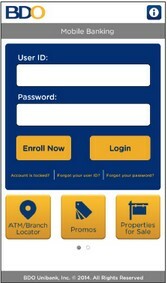 Open the application and enter your BDO Online Username and Password. 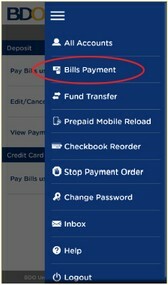 Press Menu button and select Bills Payment. 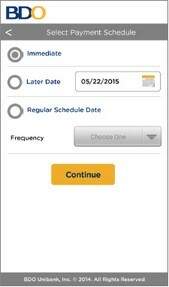 Once details have been provided, press ‘continue’ to proceed.